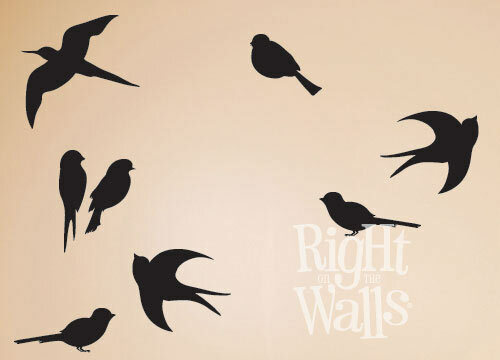 Bird silhouette wall decals can be placed on top of curtain rods, doorways, light switches or other small boring spaces within your home or office. 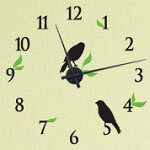 Add a little bit of fun or whimsy to any space with a few bird stickers and 5 minutes time. 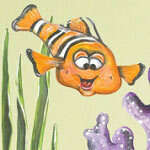 We offer many different colors to provide bird wall art & animal decals of all tones to match your decor. Great selection and ideas! i found really great gift ideas for mother's day, christmas, etc. Fast Shipping and the decals were perfect! Thank you very much! Very happy with this product. 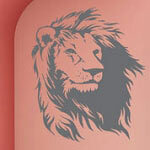 Easy to apply and looks great on my wall. I already had a tree branch I bought from your company and wanted to add a few birds. This package is inexpensive and worked great with my existing branch.